So it’s less than 4 months to the big day and I’m getting so excited! Oddly I’m not nervous and I only feel stressed when other people seem to stress about little things that I’m not concerned about. 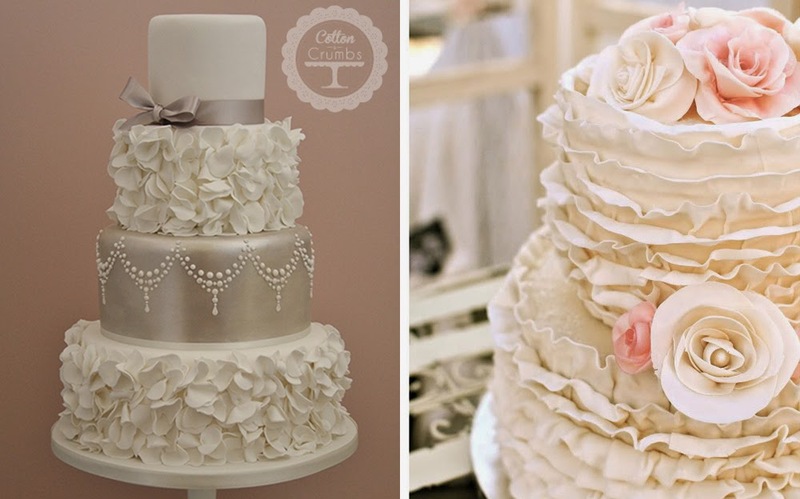 I'm loving the ruffled effect but also the idea of having different designs on each tier. Initially I loved the idea of draping fondant but now I'm not so sure. I do see myself swaying towards the ruffles more and more especially with a splash of colour in it. This one above on the left is my favourite but then I do wonder about the more traditional style on the right. 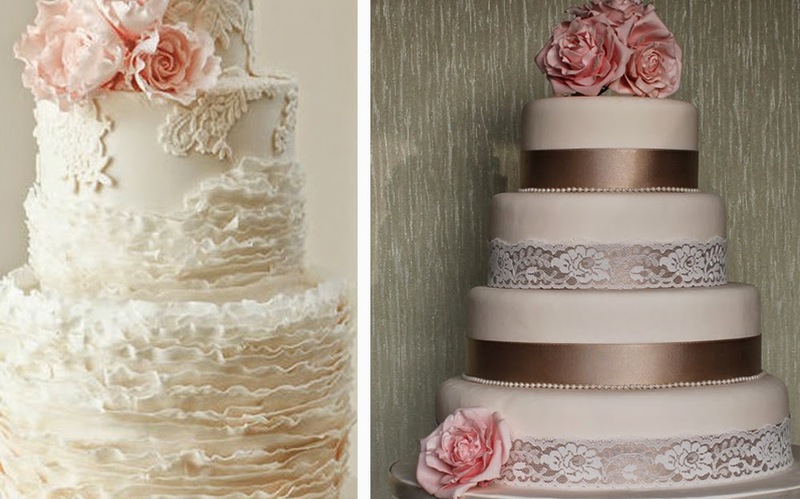 So many beautiful cakes makes choosing a design very difficult! I’m also off to a few food shows in the coming months so I’m looking for some more inspiration there. 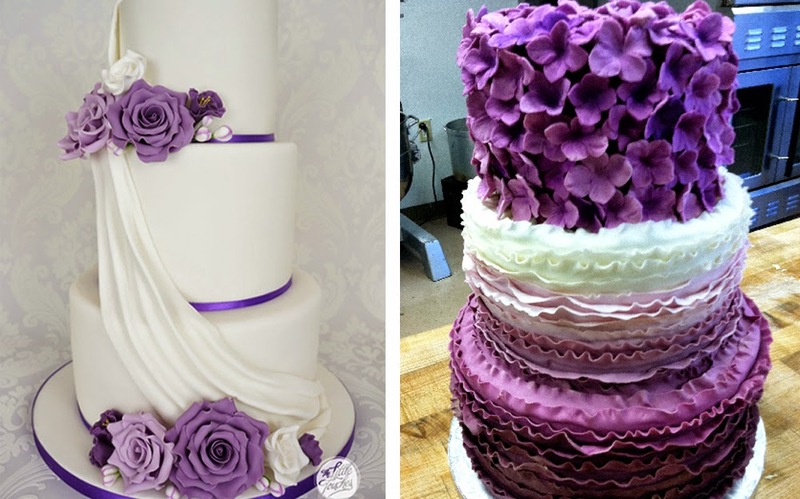 Have you ever made your own wedding cake? Have you any tips?